I assisted Larry Paulsen in editing and printing his beautiful portrait project, In a Room with North Facing Windows. I have driven an hour north from my south side apartment every Saturday to teach photography classes at the Evanston Art Center, a friendly and creative hub just north of Chicago proper, since 2006. I keep making the trek because my classes are always filled with such talented, diverse and, above all, kind people. A small group of us take over the basement and share photographs taken throughout the week. Some folks have kept signing up for the “Intermediate Digital Photography” class at the beginning of every new session, even though it’s clear that their skills have by now far exceeded the course description. This group has a true camaraderie where everyone supports one another’s work and shows up week after week looking forward to seeing what everyone else has shot. It occurred to me to make a magazine that showcased their photographs because I believe their images deserve a larger audience. 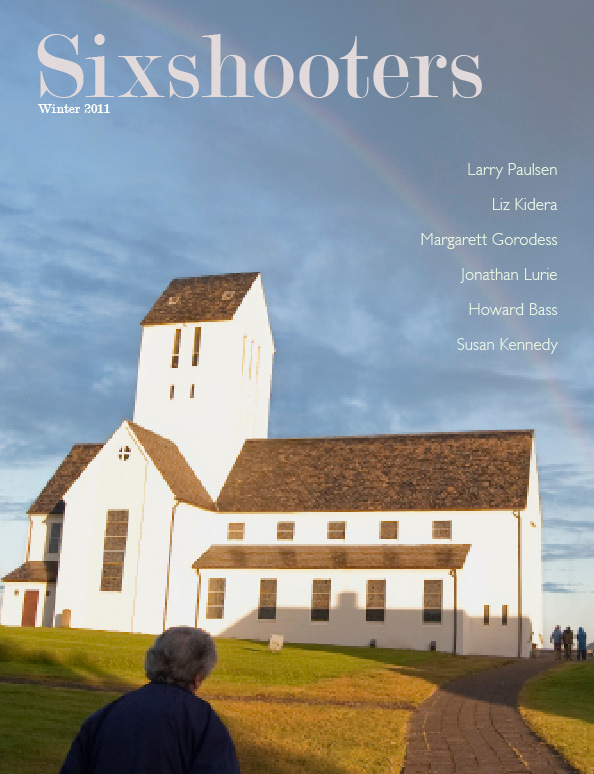 You can download the digital version of the first issue of Sixshooters via MagCloud.